The end of 2010 spelled doom for online poker’s legalization and regulation in the United States, at least in the foreseeable future. Months ago, the poker industry appeared to hold pocket aces in a much-anticipated political showdown that would have reversed the devastating aftereffects of the Unlawful Internet Gambling Enforcement Act (UIGEA), back-roomed into law back in 2006. However, with the start of a new Congressional session sworn in last month, jumpstarting online poker’s legalization at the Federal level will be a nearly impossible task . So, what went wrong? Immediately following the 2008 election, things looked promising. A bona-fide poker-playing president was elected to the White House. Many conservatives, primarily those originally responsible for the restrictions implemented against online poker, were ousted from power . Most important, the party viewed as more responsive to pro-gambling interests won a landslide election and enjoyed a huge public mandate. Unfortunately, the fight for legalized online poker has been badly mismanaged from the start. Although the Poker Players Alliance (PPA) made unprecedented strides in mobilizing the poker community for the first time, fact is the poker community remains very much divided on this issue. Division is particularly fierce among those in positions of power. Furthermore, leadership within the online poker movement made several miscalculations ultimately leading to failure. These poor strategic decisions derailed any potential for victory. Several guilty parties share the blame. Some were part of orchestrated efforts to kill initiatives that would expand gambling of any kind. Others opposed online gambling and poker for no other reason than seeking to protect their own business interests. But it was the vast majority of political and poker industry leaders alike who inadvertently derailed online poker’s fight for legality – through neglect, ignorance, and indifference. Surprisingly, the usual cast of culprits who always seem to come out against gambling (and poker by association) didn’t do much to influence the outcome. The “Religious Right,” a permanent thorn in the side of gamblers and poker players, barely let out a whisper when various bills were being debated on Capitol Hill. Advocacy groups, including Focus on the Family, sent representatives to testify before a Congressional sub-committee. But their clichéd arguments and questionable “facts” were so absurd that no one on Capitol Hill took them seriously . The sports leagues were equally hushed. When legislators reached a compromise and removed any possibility of legalized sports betting as part of a new poker bill, the most powerful of all major sports leagues, the NFL, withdrew its opposition. Even the NCAA, notoriously anti-gambling, was barely audible during the legislative process and public debate about online poker. Instead, what mortally wounded the online poker momentum was a motley alliance of diversified interests that rarely agree on any issue. This movement included several powerful elected officials from both parties. It included businesses determined to barricade themselves against potential competition. It also included various state and local officials around the country intent on protecting the biggest sucker game of all – state lotteries. Indeed, the most flabbergasting incidence was strong opposition from powerful individuals and companies within the gambling industry, including many people who prosper by serving the needs and desires of average poker players. Protecting one’s turf might be justifiable in a debate about public policy. But the deeds of some within the gambling industry were an atrocious exhibition of hypocrisy . Democrats – After the 2008 election, the Democratic Party controlled the White House and both houses of Congress. Top Democrats could have propelled just about any poker bill straight to the President’s desk for signage. But powerful Democrats – most notably House Speaker Nancy Pelosi (D-CA) – resisted calls for a House vote on the issue and ultimately killed the bill’s momentum. Rep. Barney Frank’s (D-MA) resolution to legalize and regulate online poker passed with a majority vote by the Financial Services Committee. But the poker bill never made it to the House floor for a vote. Over in the Senate, things moved even more slowly. No poker bill ever got out of committee. Early on, Senate Majority Leader Harry Reid (D-NV) was on record as being against online poker and gambling. Then, he straddled the fence for nearly two years before finally succumbing to pressure from the casino industry to back the proposal. By then, it was too late. The clock ran out on the chance for passage when Republicans won big in the 2010 midterm elections. The bottom line is that most Democrats did very little to make legalized online poker happen. Republicans – While Democrats did little to win over the hearts of poker players, almost all of the outspoken opponents against online poker’s legalization are Republicans. Sen. Jon Kyl (R-AZ) and Rep. Bob Goodlatte (R-VA) have made this issue into a personal crusade for years. Both have lobbied government agencies and elected officials connected to the issue to oppose changes in the current legislation. Some Republicans want even more restrictive laws. Indeed, things are likely to get worse for poker players with Republicans running the House. Poker’s biggest ally, Rep. Frank, lost his powerful position as committee Chairman. His replacement is Rep. Spencer Bachus (R-AL), one of online gambling and poker’s most outspoken antagonists . This likely means no bill similar to the one proposed by Rep. Frank last year will make it anywhere near the House floor. Pro-poker initiatives in the Senate are equally as dead. The Tea Party Movement – No doubt, the Tea Party movement was a major factor in the 2010 midterm elections. Voter anger at incumbents and a widespread feeling that Washington is out of touch with mainstream concerns fueled a pitchfork-wielding phenomenon that rippled across America, creating a major impact on the election. Unfortunately, this same movement brandishing clichés about “reducing the size of government” and wanting to “keep Washington out of our lives” has failed to embrace the same freedom to play online poker. One would think a movement intent on protecting individual rights would support online poker initiatives. Even Libertarians, who make up a sizable contingent of the Tea Party movement and were largely responsible for the upset win of Rand Paul in Kentucky’s 2010 Senate race, have been silent on the issue of online poker. Don’t expect the Tea Party movement to do much to support online poker in the future. The Casino Industry – Much of the casino industry’s behavior has been reprehensible. Until recently, the American Gaming Association (AGA), the industry’s biggest voice in Washington, was outspokenly opposed to online gambling. Only after big companies including Harrah’s (now Caesars Entertainment) and MGM Mirage saw their land-based revenues decline and began to understand the enormous upside of developing online markets did the industry partially reverse itself. But this change of heart came way too late. Big casino companies have essentially abdicated the market to offshore entities and are now in a poor position to offer leadership on such an important issue, having arrived so late to the discussion. Even worse, some casino executives, most notably Sheldon Adelson, Chairman and CEO of Sands Corp. (Venetian), remains steadfastly against online poker. It’s despicable that these business leaders who argue so strongly for free enterprise, open markets, competition, and encourage gaming at their own casinos would take such a hypocritical position. Others against online poker include many of smaller casino owners, particularly those based in Northern Nevada. They fear being left out of the economic bonanza should online poker and gambling get legalized. Most incredibly, the opposition even includes some powerful individuals within the poker industry. One hopelessly out of touch business owner is Haig Papaian, part owner of the Commerce Casino in Los Angeles. He has been one of the most outspoken critics against online poker for years. Yet most poker players ignore these truths and play at places like the Venetian and the Commerce anyway. State Lotteries – My view is that state lotteries should be shut down immediately. The payouts are a joke. Their advertising is deceptive. They prey on society’s most vulnerable citizens. Worst of all, lotteries are run by state governments, which presumably bear responsibility for protecting interests of the less fortunate members of society. But the sad fact is, lotteries are here to stay. State budgets have come to rely on the ceaseless cash pipeline they provide. Yet incredibly, some lottery officials have completely overstepped their jurisdiction and have actively undermined online poker’s legalization. Rather than keep to themselves and run their own dubious scheme, some lottery officials worked to kill last year’s online poker bill. Consider a baffling letter sent to several members of Congress last December from Ed Trees, Executive Director of the Pennsylvania State Lottery. In his letter, Trees urged lawmakers to oppose online poker’s legalization. His explanation was citizens would have less “discretionary income” to spend on lottery tickets. What a stunning stupid comment. No word yet on if Trees is currently working to shut down movie theatres, sporting events, and other businesses that he perceives to be a threat to his state-sponsored rip off of citizens. 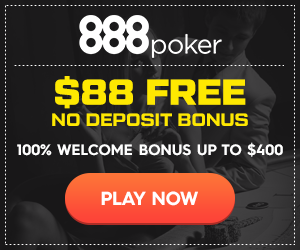 Major Online Poker Sites – It’s hard to imagine a more badly managed public relations campaign and misguided lobbying effort than what has taken place in Washington over the past four years. The effort has been so poorly run that one must seriously ask – is the movement to legalize online poker just a sham? Do the major websites actually prefer to remain in a gray area so they can continue to prosper within the legal void? Allegedly, the online poker industry had key people working “behind the scenes” . The stealth strategy was to work cautiously with lawmakers and stay out of the public eye. Well, such a strategy has failed miserably. It’s now back to square one again. One would think that if the industry were serious about legalizing and regulating online poker, a well-orchestrated public relations campaign would have started a long time ago. Make appearances on news shows. Take out ads in major newspapers. Run advocacy commercials. Write guest columns at major websites. Attend town hall meetings. Write Letters to the Editor. Get people thinking about this issue. Public advocacy often works. Instead, the online poker industry has done an appalling job at PR despite the best intentions of some good people at the PPA. The time has come for a full-scale lobbying and public relations campaign similar to those carried out by most major business sectors and institutions. Poker Players – Sadly, we poker players also bear responsibility. You think online poker games have gotten tougher the last few years? You’re right. Why? Here’s one reason: The market is not producing enough new fish fast enough, which fuels the so-called poker pond. While there are a lot of very fine people out there who have been politically active, the vast majority of poker players remain totally apathetic and uninvolved in major decisions that impact their lives. One must wonder if just a few more people may have voiced their opinions, made phone calls to members of Congress, contributed to key campaigns, and joined the effort to fight for our rights how much more progress might have been made. The PPA has more than one million members. But how many poker players did anything the past few years to advance the cause? The percentage is embarrassing. What this really means is only a few poker players care enough to get involved and do something. Until our mindset changes, nothing else will. According to current Federal laws, playing poker online is not specifically illegal. When referring to online poker’s “legalization” throughout this article, I mean the possibility of poker sites operating within the United States as well as licensed and regulated by a gaming commission. The political leader most responsible for implementing what became the UIGEA was former Sen. Bill Frist (R-TN) who did not seek re-election in 2006. When asked to explain his opposition further, Rep. Bachus has repeatedly parroted the old cliché that “online gambling is the crack cocaine of gambling” with little supporting evidence to back up his claims. Pro-online poker forces have hired top Washington lobbying firms and spent millions of dollars. However, passage of an online poker bill is no closer now than it was when UIGEA was passed more than four years ago. Some personnel and strategic changes are long overdue. Haig Kalegian owns Bicycle and Haig Papaian owns Commerce. And both of them support online poker in California. I mean, why wouldn’t they? More local jobs and more money for their state, which it really needs by the way. Plus its better for Cali’s players in the long run. It’s hard for me to take your analysis serious when you leave Indian gaming out of the equation. You’re obviously not paying close attention to the game. Methinks you don’t know who Nolan Dalla is. Doesn’t PokerNewsDaily have anything to say about Senator Kyl retiring is a good thing for the future of legalization? if it aint broke, dont try to fix it! The only proposals I heard were all stupid. Most were going to prohibit Pokerstars and Full Tilt from being available in the US. ( some for 10 months-others indefinitly. LEAVE IT ALONE!